We carry out regular transport with Russia, Ukraine, Belarus, Moldova and Baltic countries. We are transport specialists with Switzerland, Serbia, Albania, Montenegro, Bosnia, Macedonia, Kosovo, Turkey and Norway. Our transports are performed door to door with 40 tons trailers, vans or mini-Tir, depending on the volume and weight of the freight. We have mega-trailers, tautliners and jumbos, as well as boxes and refrigerators. 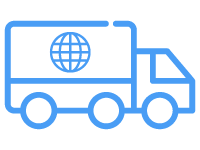 We are able to perform several pick ups and deliveries anywhere in Spain, EU or non EU countries. Sometimes, we consider it more convenient to hire external partners of different nationalities (selected according to the requirements and needs). This allows us to offer more competitive rates to our customers. These companies always comply with our demanding quality protocols (certified by Bureau Veritas ISO 9001: 2008), which work regularly with us and with experienced drivers monitored by our traffic team. The agent in charge of your transportation is in permanent contact with the drivers and at your disposal to give you information at any time. We have correspondent agents in most of the countries and border crossings, in order to arrange all customs procedures, both Import and Export. Please do not hesitate to ask for any special solution related to transportation (warehousing, several deliveries, groupage, etc…). We will be happy to provide you with the most suitable solution.